HomeBlog The essential Legionella control training that can save lives! The essential Legionella control training that can save lives! Don’t ignore the essential control training for legionella that can save lives! Bupa to pay £3m for failure to meet requirements for legionella control causing death! What is Legionella and how does it grow? Legionella (or full title, legionella pneumophilia) is a rod- shaped bacterium which belongs to the genus Legionella. It naturally occurs in water and soil environments. At low temperatures, under 20oC, the bacteria survive but do not multiply and over 60oC the bacteria die. Legionella bacteria flourish under certain conditions; in temperatures between 20-50oC with optimum growth occurring at a temperature of 37oC. It also flourishes where there is little or no water movement as stagnant water provides an excellent breeding ground for the bacteria. Water systems enhance the spread of bacteria through producing aerosols/water vapour which can then be inhaled. What are the negative implications on health if inhaled? 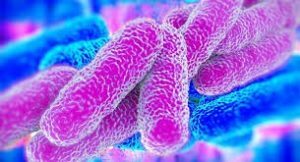 Legionnaires’ disease is a potentially fatal form of pneumonia – an infection caused by legionella bacteria (typically affecting men more than women). 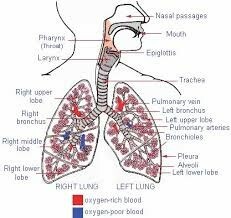 People with weakened immune systems are particularly susceptible and more inclined to contract legionnaires‘ disease (older adults and smokers are also susceptible). It is not contagious but it can be fatal. The disease was first identified in 1976 after an outbreak at the convention of the American legion in Philadelphia where over 220 people were infected resulting in 34 deaths. Since then, numbers of cases have slowly risen with latest figures showing 200-250 reported cases of legionnaires’ disease each year in the UK. The legionella bacterium also causes Pontiac fever, a milder illness resembling the flu. Separately or together, the two illnesses are sometimes called legionellosis. Pontiac fever usually clears on its own, but untreated legionnaires’ disease can be fatal. Although prompt treatment with antibiotics usually cures legionnaires ‘ disease, some people continue to experience problems after treatment. 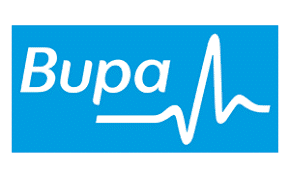 Bupa have been fined over £3m for the death of care home resident, Kenneth Ibbetson, 86. It has been revealed that Bupa failed to implement measures to control and monitor the hot and cold water systems at the Hutton Village Nursing Home in Essex during refurbishment works in 2015. Ibbetson moved to the care home in March 2015 and died just one month later on 23rd June 2015 from legionnaires’ disease. It was later proven that he contracted the bacteria from the water systems that delivered water to his bedroom. Samples taken from the tap in Ibbetson’s bedroom later revealed there was a high concentration of legionella bacteria in the water. Bupa failed to properly train staff who were responsible for overseeing legionella controls and measuring the temperature of the water and the results of this were fatal for Kenneth Ibbetson. This in turn was a breach of S 3(1) of the Health and Safety at Work act and paid £151,482 costs. This highlights the importance of monitoring and controlling water systems temperatures. How can I monitor legionella and prevent a case like that of the Bupa fatality? By carrying out detailed legionella risk assessments that both identify and assess the risk of exposure to Legionella bacteria in your workplace. The assessment will identify the work activities and locations of the exposures and in turn will list precisely any necessary precautionary control measures both interim and long term. What can CMSE Consultancy offer in terms of services? Exposure should be prevented where a risk is identified. Implementation of an effective Legionella Control Programme. It is evident that monitoring and controlling of the water temperature is crucial in maintaining a safe environment; be it a workplace, nursing home or your very own family home. With the help of CMSE Consultancy you can ensure that the highest standards of Irish legislation are met, and you can sleep with the reassurance of knowing that your employees/patients/family are safe. EMAIL OR CALL US NOW FOR MORE INFO!